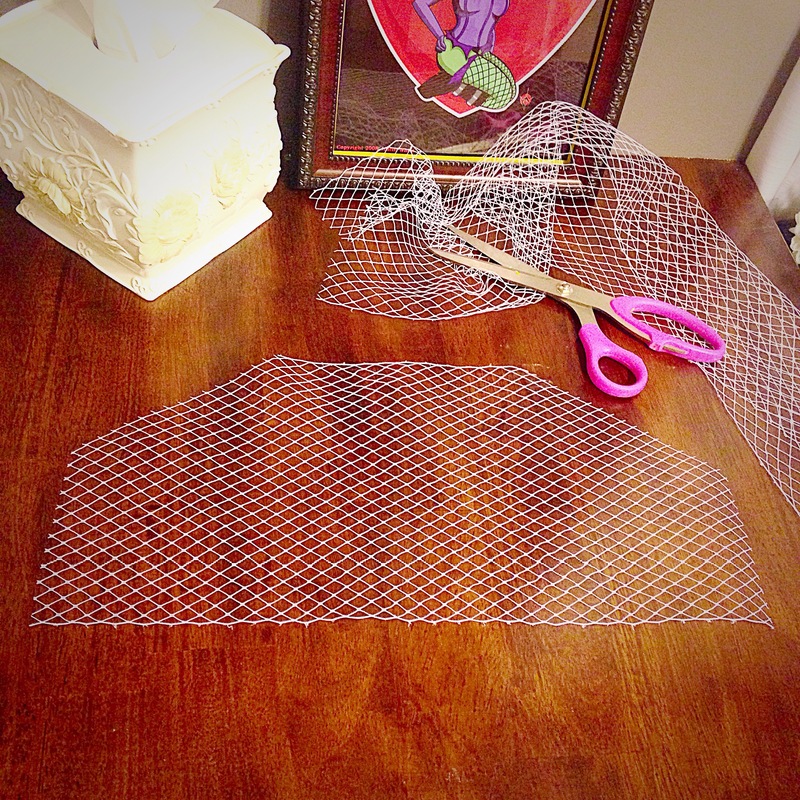 DIY bird cage veil for a hat or wedding veil comb. 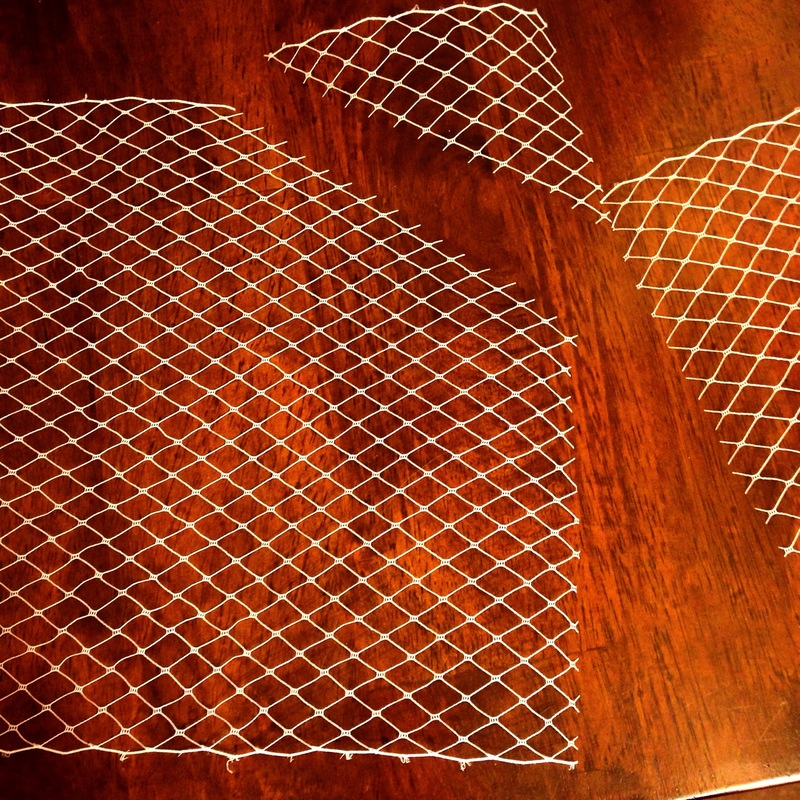 STEP 2: Count 7 holes down and follow the line of the netting to cut off the upper right corner. Repeat for the other side. 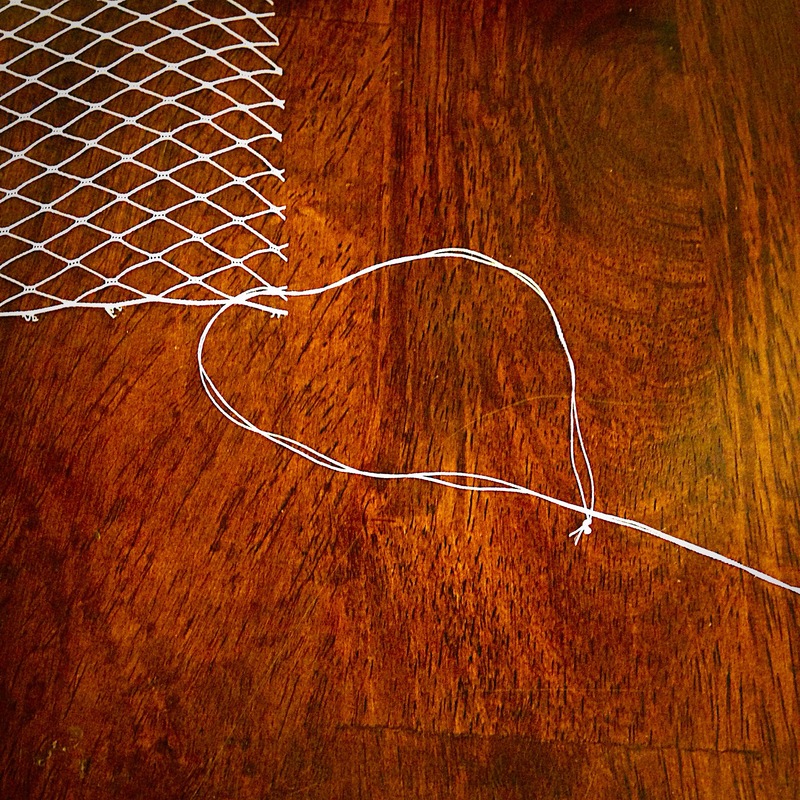 STEP 3: Thread your needle and knot the end around the lower right corner of your netting. 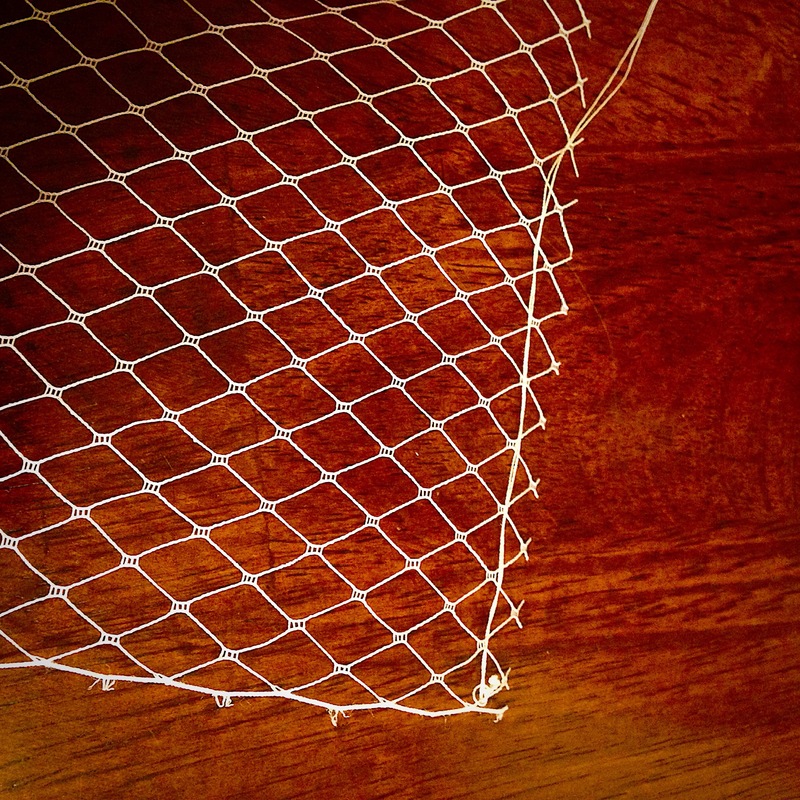 STEP 4 : Do a quick running stitch through the netting holes pulling the thread to gather as you go.Go clockwise from the lower right corner to the lower left corner. Do not go across the bottom. 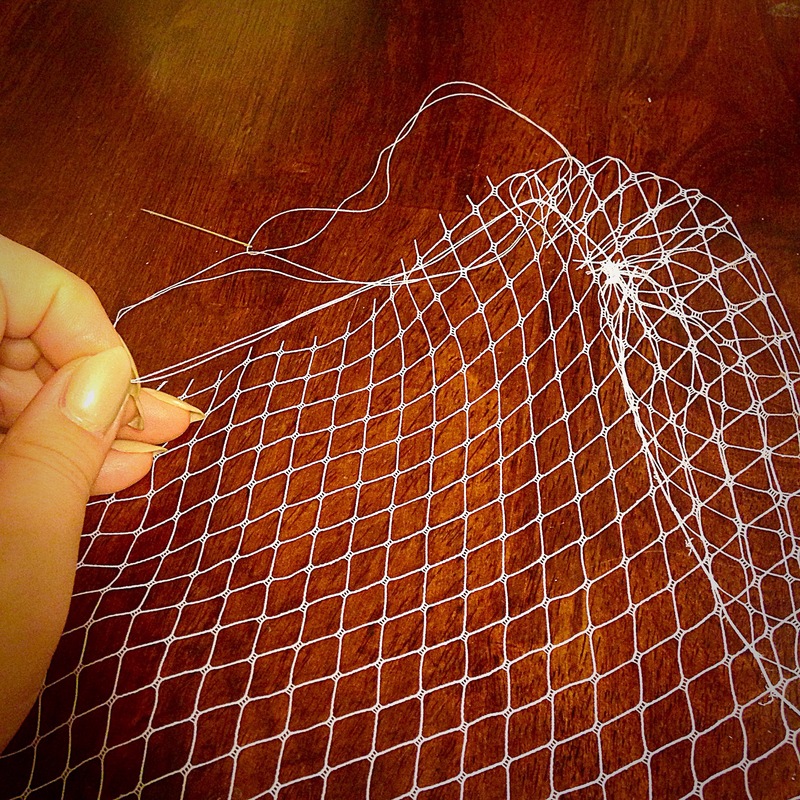 STEP 5: Pull your thread to gather your netting into a caged veil shape. 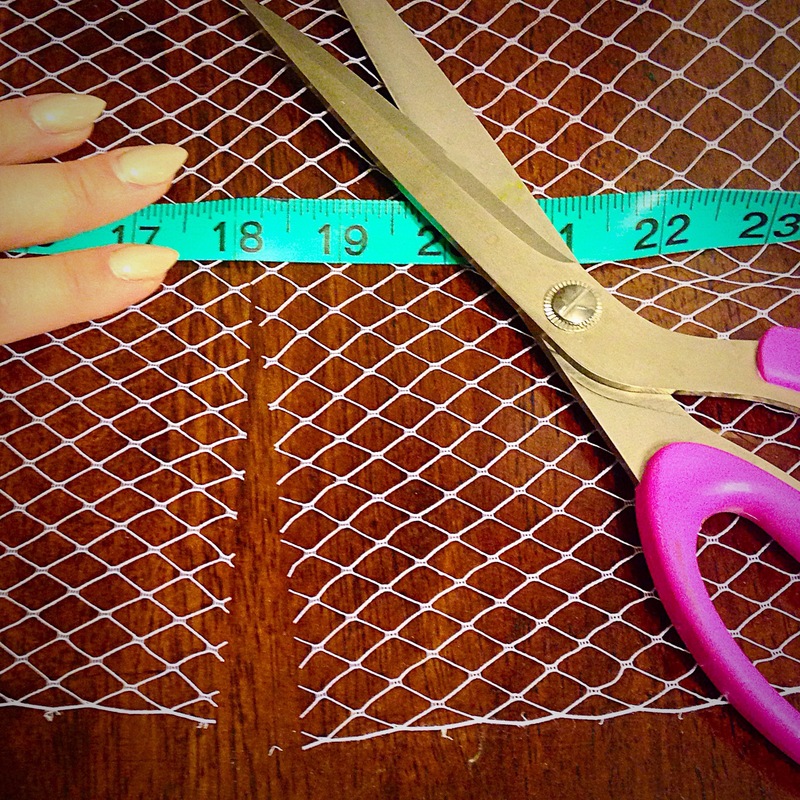 Tie off the end and snip your thread. 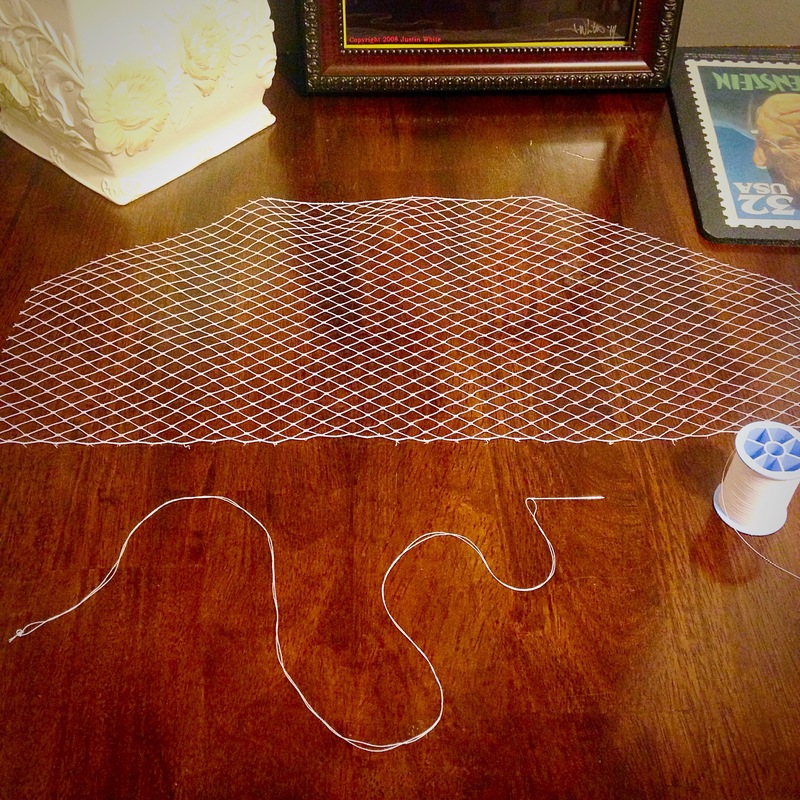 TIP: Gather the netting loosely if you’re going to attach it to a hat, gather it tightly if you’re going to attach it to a barrette. 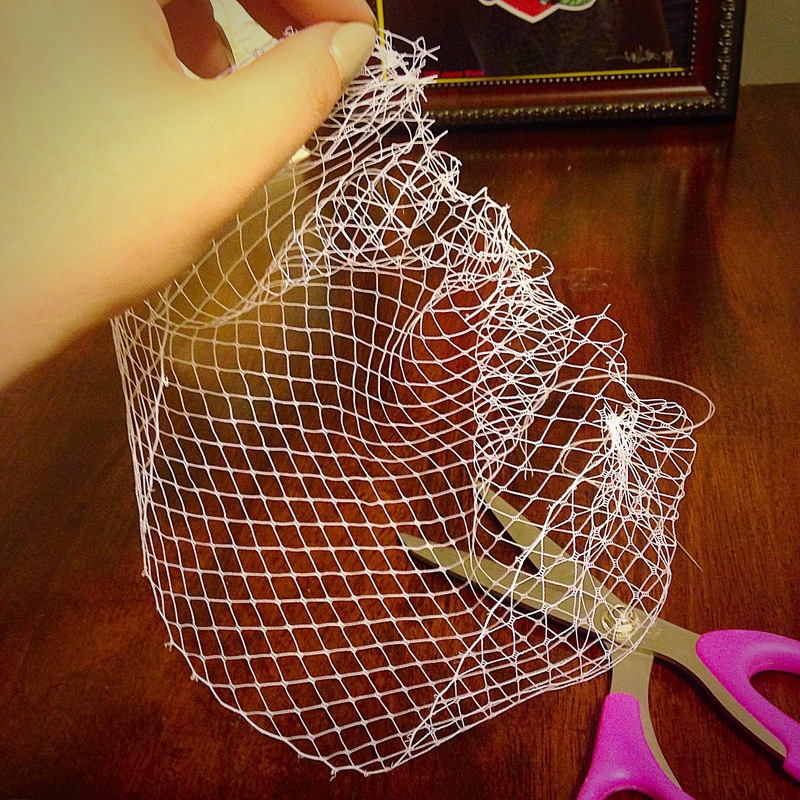 Now you’re ready to attach your veil to a hat, hair comb or clip. 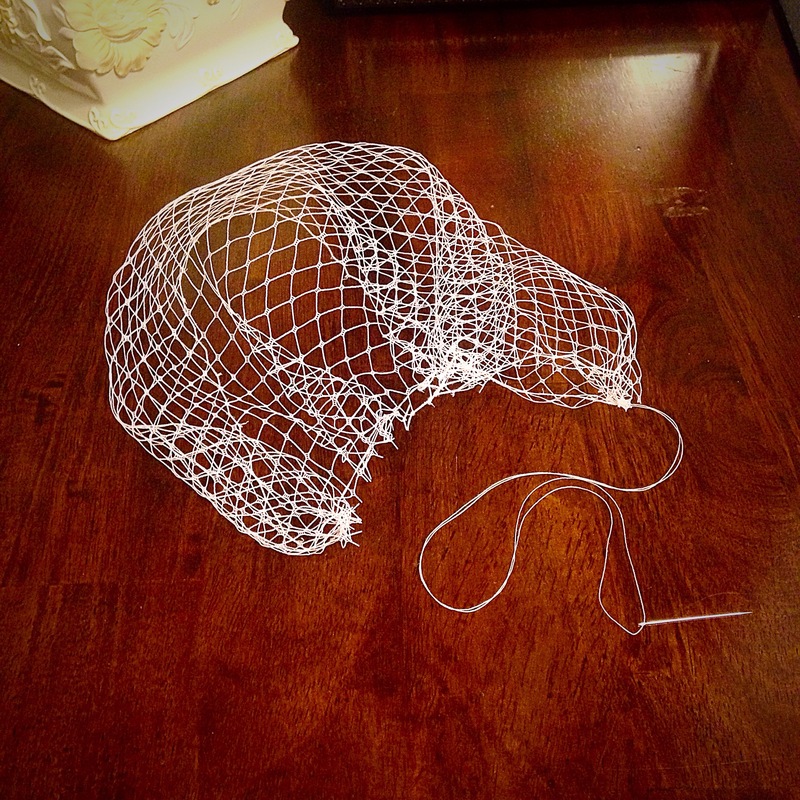 Next Under the Sea Themed Seashell Fascinators- Ariel Disneybound Cosplay Anyone?